I've decided to start the New Year with a bang! I am now the proud owner of a new (proper) website. 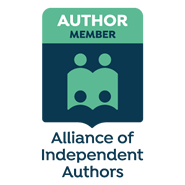 Unfortunately I cannot automatically take my followers from Blogspot to the new site, so if you want to be the first to hear of a new blog post, book releases, offers, and other news from my writing life, you need to sign up for my newsletter. If you want to check out my latest novel The Navy Wife, go here. 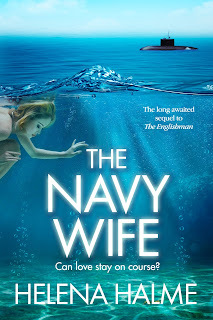 The Navy Wife is available on Kindle here (US) and here (UK). It is also available on other international sites, please see your local Amazon store. Download it now! 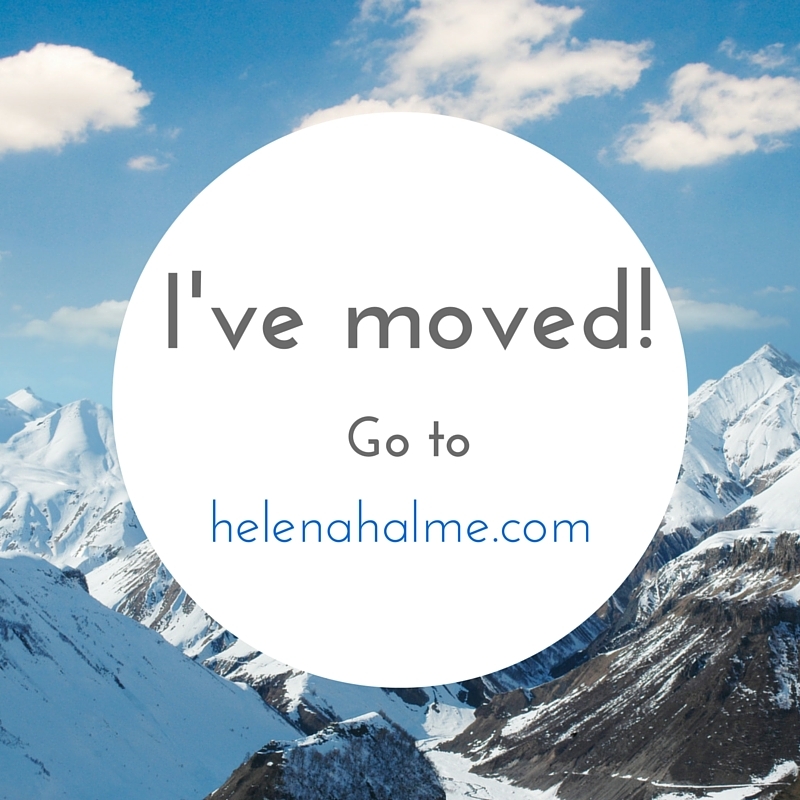 My new website is also now up and running, so please go and visit www.helenahalme.com. I will be blogging there as usual, but please remember, if you are following me on Blogger, you will no longer get notifications that way, so please sign up for my newsletter here or on the new site above. As always, don’t be shy – share the news of my latest book release on Twitter, Facebook or by email (or shout it from the rooftops!). In Part 2 of this series of posts, I talked about editing your work, and how the first draft is always just that, a draft – an incomplete piece of writing. Having said that, without getting those words out, without that first draft, you cannot move forward and produce a finished product - your novel. Of course, the faster you can write the first manuscript, the better. Now that I have taken the bold step of giving up my day job to be a full-time author entrepreneur, I am hoping to write at least two novels per year, as well as some non-fiction books, so I've been looking into how I could speed up the process of writing. As you know if you follow this blog, I took part in the National Writing Month, or NaNoWriMo, to motivate me to write about 2,000 words every day. It worked, and I now have a first draft of a novel. I am also now so used to the daily writing routine that I feel strange if I haven't put down at least a few words, even if I cannot manage the 2,000 every day. During this process, I found that one way to speed up your writing, is to have to have an idea of the plot, characters and setting for the novel. I'll go into more detail on the various main elements of the first draft of a manuscript below. Since you are already thinking about becoming a writer, and want to write a full-length novel, you must have an idea of what you want to write about, even if it isn't a fully fledged plot. Two of my published novels took shape after I got obsessed with a story from my past, or a piece of news I saw. My virtual desk is full of half-finished novels, which came about in a similar way; and I intend to revisit each one. Nowadays, however, I try to plot ahead a lot more, simply because it makes the writing process so much easier, but this is something that is different for ever author I know. We all have our unique ways of working. An ideas board is a great way to start – just jot down what happens in the book and develop them into a plot. You'd be amazed how easy this is. Or think of the story in a summary: "Jane is in love with a guy who won't even look at her. One day, she sees him sitting in a cafe alone, and Jane bucks up the courage to talk to him. It turns out they have something crucial in common..."
No plot, no characters, no setting? If I'm struggling with a manuscript, I have learned a few tricks to get me going with the writing again. Walk away. Sometimes it's good to take a break. Have a coffee, go for a walk, or if nothing else works, take the writing elsewhere – another room, a coffee house or the library. Go onto a new scene. Leave the bit you're stuck on and start writing another scene. Remember this is the first draft, so it doesn't matter if scenes are incomplete. You can come back and write more on the section you gave up on, but often if a scene is difficult to write, it may not belong in the novel. In any case, you can fix all that in the 2nd draft. Google it. I've talked about research before, and I use it a lot to get over a mini writer's block. The more you learn about the subject, the more inspired you'll feel to carry on. Sometimes, if you can, it's good to physically go to the setting to be inspired. I dragged the Englishman up to Scotland on holiday last year, so I could see the place where my characters lived. While I wrote The Navy Wife, I often went back to look at the photos I took during our trip. Start re-planning the plot on whiteboard, or on your computer. 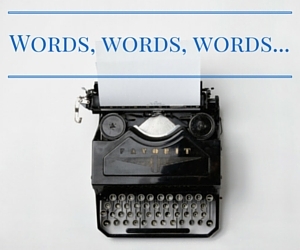 Just jot down ideas – anything – and you'll soon find a scene you can write. Or go back to your original ideas. Don't worry if it's the ending and you're written only 10,000 words so far. Those other words will come, I promise. Re-read what you've written already. This is a bit of a last resort for me, because it means I will start re-editing and at this stage I don't want to fall into that (time-consuming) pit. But needs must, and if there is part of the manuscript I particularly like, I return to that and hope that my inspiration returns. The software you use for writing can speed up the process as much as the planning ahead can. I have recently started using Scrivener, as opposed to Word, and I have to say it has been a revelation. This software allows me to write a lot quicker. I can review my work more efficiently, and there are areas for research, characters and settings, which you can fill in when you think of them and then refer to easily. Previously, I had all of this on pieces of paper, or saved somewhere in a folder on my laptop, or just bookmarked on my browser. I could never find anything! But remember, whatever software you use, the words you produce for your first draft aren't going to be those that will be in the final print (or ebook) copy. Let you inner critic have a holiday and just write, write and write. That critic can have his or her field day as soon as the editing process begins. I hope you've enjoyed this series of Advice for New Writers so far. The next instalment, '5 Ways to Learn Your Craft' will be out in the New Year. Until then, happy writing and please subscribe to my newsletter here for all book offers, news and more! 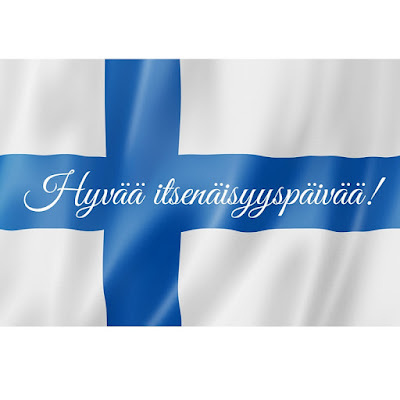 Today Finland is celebrating its 98th year of independence, and I'm a little sad, because I was supposed to be in my home town, Tampere, raising a glass or two with my sister and my father. Instead, I'm recovering from a nasty bug. Oh well, there's always next year, and in 2017 Finland will be 100 years old! The centenary celebrations are already being planned in Finland as well as by ex-pat Finns all over he world. I’ve been a fan of Tessa Hadley’s writing for some time, and have loved many of her novels, such as The Master Bedroom and The London Train. 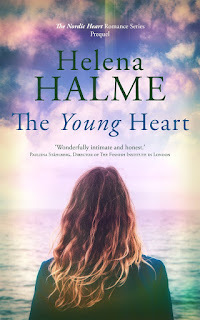 Hadley’s writing is beautiful and precise; she can describe her characters’ emotions to a T, but she is also brilliant at evoking a sense of time and place. In The Past, the rambling falling-down house set next to a stream in the English countryside becomes another character in the book. Its fate, whether it should be sold, renovated or kept as it is, has to be decided by the four grown-up siblings, grand children to a respected minister and poet. The future of the house runs as a theme through the book, and is the reason the four are united for a last 3-week summer holiday in Kington. Alice is a failed actress, and at 46, the middle daughter. She has asked a young student of economics, Kasim, who is the son of Alice’s ex-lover, to accompany her. Alice's older sister, Harriet arrives alone, while her older brother, Roland, brings his new wife – his third – the glamorous and exotic Argentinian, Pilar. There’s also a dreamy teenage daughter, Molly. The youngest of the sisters, Fran comes with her two children. So as the reader, you think the scene is set nicely for at least some serious family fall-outs, or even some disaster, be it loss of life, dignity or virginity. The tension is beautifully built in the first half of the novel, where we find about the siblings' childhoods, how their mother died when Fran was still very young, and how they lost their grandparents, the original occupants in Kington. There’s the promise of a burgeoning romance or two. This is when the story moves back to the past, and we meet the grandparents, Sophie and the Vicar, and Jill, their daughter. We also get a glimpse into Jill’s turbulent marriage with her husband, the idealistic journalist, Tom. When the story moves back to the present, the events which the author had been building up to in the first part come to pass – but mostly off camera. To buy The Past by Tessa Hadley click here or tap on the image above.